Meet at 10.45 am for 11.00am start to the visit and presentation, Cost per head £5.00. Tea and Coffee provided. I will be collecting the outstanding monies at the monthly meeting. Meet our guide Tim, outside the Royal Courts of Justice in the Strand WC2, at 10.45am for 11.00am start. We will be divided into three groups to attend the Criminal Appeals being heard. Following this, we head to Lincolns Inn, where the barristers work. We will have a talk about their role. Then onto the Old Bailey, perhaps the most famous of all Criminal Courts. Here we learn of its history and current role. We will receive listings of the cases being heard that day and can decide which trial/hearing we wish to attend. You may also move between the Courts. We are only allowed in the Public Gallery for security reasons. The Hearings are in the afternoon. We will break for lunch around 12.45pm. Suggested venue “The Viaduct Tavern” opposite the Old Bailey. The Landlord will reserve an area for us for refreshments. Leaving the pub at about 2.00pm to return to the Old Bailey, as the Courts then open to attend the trials/hearings. Court finishes at about 4.15pm. There is an option then to return to “The Viaduct Tavern” where the staff will show us the cells of the former Newgate Prison. Please note, they are too busy at lunch time to do this then. PLEASE NOTE: No Mobile Phones or other electrical items, including Computer Watches are allowed within the Old Bailey. You can Deposit your phone with a local Travel Agents for the cost of £1.00. In addition, no Rucksacks, Large Bags or Holdalls or food or drink are allowed within the Old Bailey. The walk will be with guides Marion Clarke and John Morgan and this area of London has great interest. Cost £8.00 per head. Possible visit in the last week of September 2019 to “Mrs Tiggywinkles Animal Wildlife Hospital” at Haddenham, Bucks and then back to the Brookes’ for tea. The proposed visit to the RAF Museum is being considered and I will report further in due course. Mike Scholes a founder member of Epsom MGOC will come later in the year to talk about the preparation and trip across the Atlantic Ocean in a Hot Air Balloon in aid of the Charity for Blind Veterans UK. 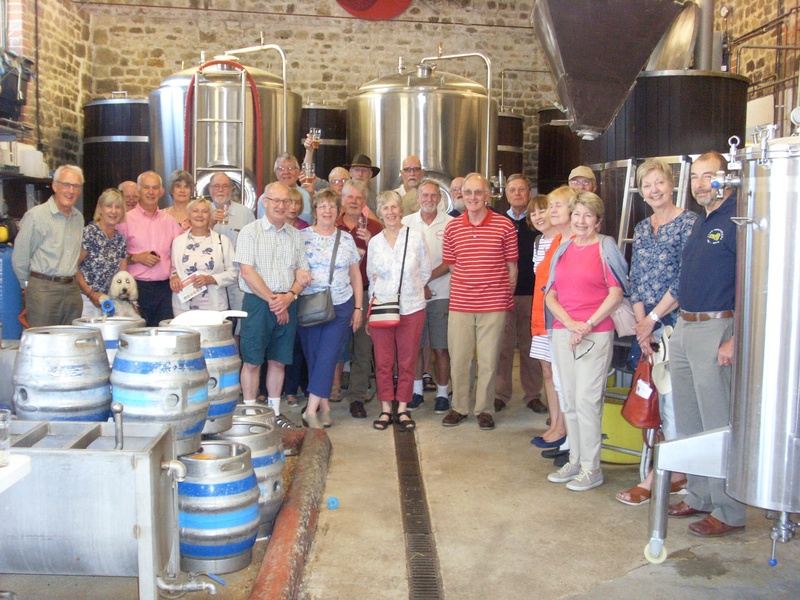 We are considering visits to Denbies Vineyard, Abbeywood Pumping Station, SE2 and a return to Limpsfield Chart Royal British Legion to have lunch and listen to jazz on the last Sunday of the month between 4.00pm and 7.00pm. Trips to Bolney Vineyard and Hobbledown Birds of Prey were discussed at Committee, but deemed too expensive to pursue. Happy Socialising and please continue to let me have your great ideas for outings.